Israel (1920 – 2017). 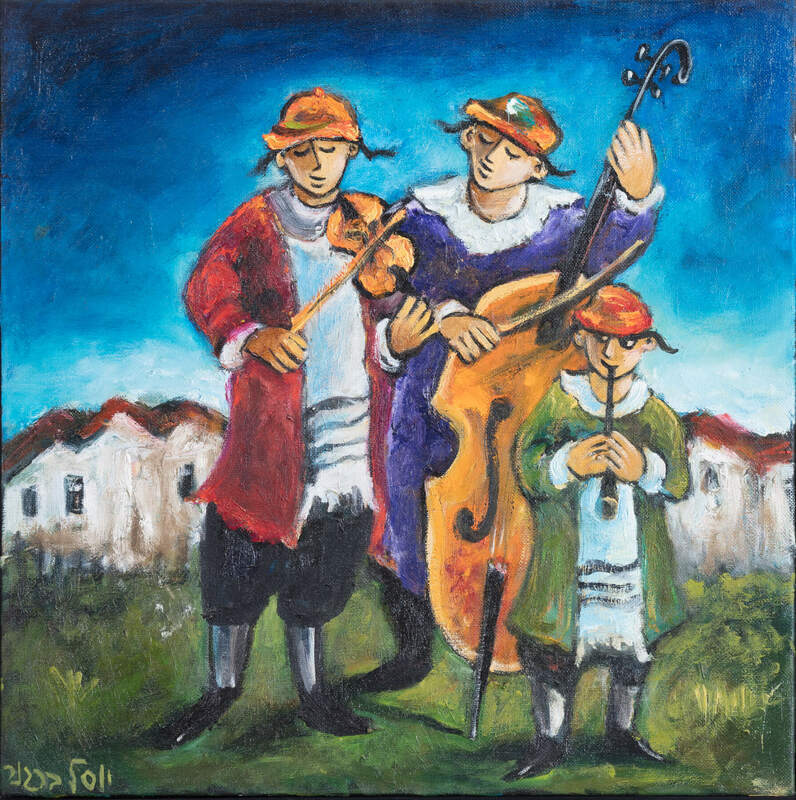 Young Klezmorim with violins. Oil on canvas. With certificate of authenticity signed by artist. 15.7” x 15.7”.